We often think of making more money in terms of having money (i.e., you need money to make money), having certain skills, or having certain assets and equipment that can generate income. 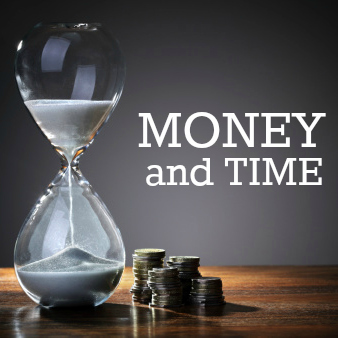 In truth, making more money typically has more to do with time, and how we use it. If you think that you want to make more money, you may need to make room in your schedule. Life seems busier than ever, so how do you make room in your schedule to make more money? One of the biggest reasons why we never seem to have enough time to do what it is we really want to do, is simply because we have too much going on. Often, that happens for the best reasons. The people in our lives – spouses, children, friends, extended family members, and coworkers – ask us to help them in some way. Though there certainly are times when we need to be there to help, spending too much time helping others can rob us of the time we need to help ourselves. In many cases, we do things for other people that they could very easily do for themselves. Separating out when someone really needs us – as opposed to simply making things easier for them – is a skill we all need to learn. In order to make room in your schedule to make more money it is crucial that you learn to say “no.” On the surface, this may seem somewhat insensitive. In truth, it is the only way to gain control of your time. Not only will saying no give you more time to work on what you need to, but once the people around you become accustomed to hearing you say it, they will also be less likely to ask you for help in the future. It’s a matter of disciplining yourself – as well as the people in your life. 2. Get up an hour earlier. This recommendation has two benefits. First, getting up an hour earlier gives you one extra hour to do it you need to do. Second, it gets you up early in the day when most of us are most productive. While you may have to make it up by going to bed earlier at night, it is likely that that evening time is also “wind down time,” when you’re not terribly productive anyway. You can use that extra hour in the morning either to work on what it is that will make you more money, or to take care of other tasks so that you will have more time to work on your new venture later in the day. Is getting up early a sacrifice? Yes! But if you want to make more money, the only way to do it is by sacrifice. And once you get used to getting up earlier, it will become part of your routine and it won’t bother you nearly as much. 3. Turn off your TV. According to the Bureau of Labor Statistics, the average adult watches TV for nearly three hours each day. Now even if you worked a part-time job at minimum wage for those three hours – instead of watching TV – you can earn about $22 extra each day. At five days per week, that would be extra $110, or more than $5,700 per year. What if you have a side business or do contract work earning you several times minimum wage? You can do the math, so you can see that there are far more profitable things you can do with your time than watch TV. If you want to make more money, turning off your TV is the first step to making more room in your schedule. 4. Limit your web surfing. 20 years ago TV was the primary time drain for the average person. But today we also have the Internet. And just as it is with TV, you can spend several hours a day surfing the web for no productive purpose. Since the web is a primary source of both communication and information, it’s not possible to stop surfing entirely. But it is extremely important that you discipline yourself to keep your surfing to a minimum. Better yet, make web surfing part of your attempt to make more money. There are opportunities to make money on the web and they’re all over the place. Instead of surfing for sports information and popular news stories, instead research ways to make money on the web. That will be converting leisure time into productive time. 5. Never be a slave to your cell phone. Being accessible on a 24/7 basis has its advantages – but it’s also a major distraction. And it’s not just the amount of time that you spend on the phone. Every time you make a call or take a call, it breaks your concentration. Even if you’re working on something that is very important, taking a phone call in the middle of it could require anywhere from 10 minutes to a half an hour to re-engage yourself in the project at hand. That kind of interference is a productivity killer, and one that we cannot afford to engage in too frequently. Practice doing what a lot of successful business people do – let your calls go to voicemail, and return them at your convenience. Unless a call is an obvious emergency, you don’t need to answer your phone simply because it is ringing. 6. Give priority to your effort to make more money. Once you have cleared a few obstacles out of your schedule, it will now be a struggle with your self to keep you focused. That means that when you have the time that you need, you have to put it to productive use. Since any time that you will clear for making money will be limited, it will be important that the time will be spent on the most productive activities. If selling, writing, or designing are the activities that bring in the money, then that is where you will have to spend your time. Plan to hit the ground running as soon as you begin working. That will mean that you’ll have to have an agenda prepared before you start working, such as during the course of the day (or during the hour you create by getting up earlier). And when you start working, you have to block out distractions and use the extra time strictly for the purpose it was created. Do you want to make more money, but find yourself struggling to make room in your schedule to do it?